When you own a car you may get involved in a car accident at some point of your life. They can be devastating for the drivers, passengers as well as the pedestrians on the road. Although auto manufacturers use the best technology in vehicles to prevent every major or minor crash. However, accidents always occur unexpectedly as they are inevitable during the driving experience. Even if you adopt all the safety measures while car driving, sometimes things can get out of your control. Therefore, it is important to be aware of crucial tip on how to handle a minor or major accident. If you ever get involved in a car accident, you must know the necessary steps to deal with it. Here we have mentioned some best tips to help you in case of a road crash. 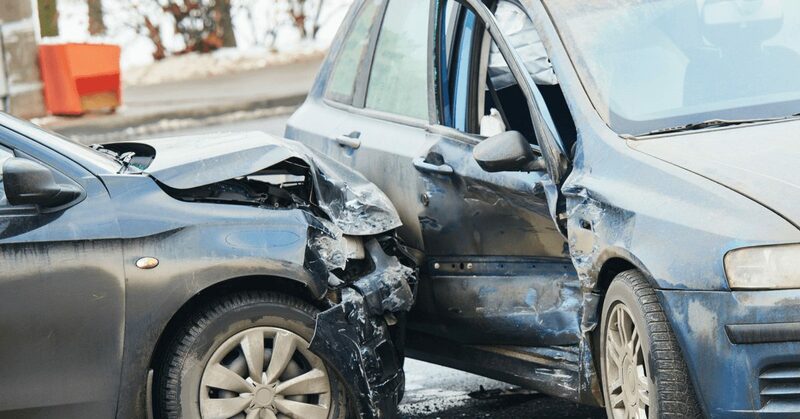 When people get into a car crash, they first examine the level of damage suffered by the vehicle. However, they totally forget about their and the passenger safety, which is the most important thing. So, if you ever get involved in a road accident make sure to keep your priority at top. If your vehicle collided on an icy road, dimly-lit or a crowded road, first find an area where you can keep yourself safe. Make sure to get yourself out of any dangerous place where there is less traffic. This way you can also take care of your passengers’ safety in a much better way. After moving to a safer place from the site of accident make sure to analyse the loss and injuries. In case you suffer some serious injuries, it is best to call for help quickly. Just don’t waste your time and energy in engaging in a dispute with the other party. While doing so, you may forget about your safety as well the people in your vehicle. Sometimes people are not able to understand the intensity of loss suffered in an accident. It usually happens due to the greater level of adrenaline rush. In that situation, it is wise to immediately call for an ambulance. You can also seek help from the people on the road. After you have taken care of your safety, it’s time to report the incident to the police. Make sure to contact them quickly and file a police report. Remember to share your automobile’s number so police can perform further investigation. If you file the police report without delay, it will help you to quickly find the guilty party. When you claim an insurance or file a police report makes sure to have all the relevant details in hand. This means all important information related to the auto accident. You can better note them down on a paper so you can easily share with people when time required. While noting down the necessary details it would be best to assess all the damages or losses caused during the crash. Don’t forget to note down the weather condition, amount of traffic and the people present at the spot of the accident. Don’t forget to take sufficient pictures of the car crash. You must take a picture of the damages done to the vehicle, the place of collision, driver’s license and registration number of the responsible vehicle. This will help you to give a clear picture about the incident to other people. Furthermore, it will help you in getting quick claims in case of insurance and legal cases. As you will have all the paperwork and evidence to describe the losses and injuries caused to you. This way you can provide a visual description and get a fair redemption. If your vehicle is totaled or damaged beyond maintenance then you need to hire your local car wrecker who deals with damaged cars and help you to remove the vehicle on site. Selling a Scrap Truck Got Easier! How to deal with a car that breaks down more often? How Much Can You Get Scrapping a Car? Your local, experienced and talented team of Wreckers you can get the top cash for cars and other unwanted vehicles and free auto removal anywhere in Wellington. Get the free cash quote today and take the advantage of our extraordinary recycling services. © Copyright 2017 Kiwi Auto Wreckers – Unbeatable Cash For Cars Wellington Wide. All Rights Reserved.